Oh my! Is it Mardi Gras already? This wreath is really something. If you want a wreath that is �outside the box,� the cool colors of the Gala Glitz Christmas wreath makes for a festive Christmas door! 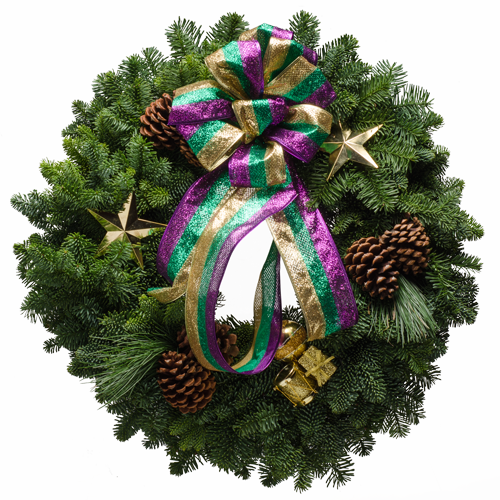 "Having ordered and received your fragrant wreaths for many years, we and other recipients are always grateful to place Christmas Forest wreath on our front door for all to enjoy. Again, thank you and Merry Christmas to all of the Forest."